If you’ve ever done laundry, you’ve surely experienced the missing sock dilemma. You know, when you put a pair of socks into the dryer but end up with only one. 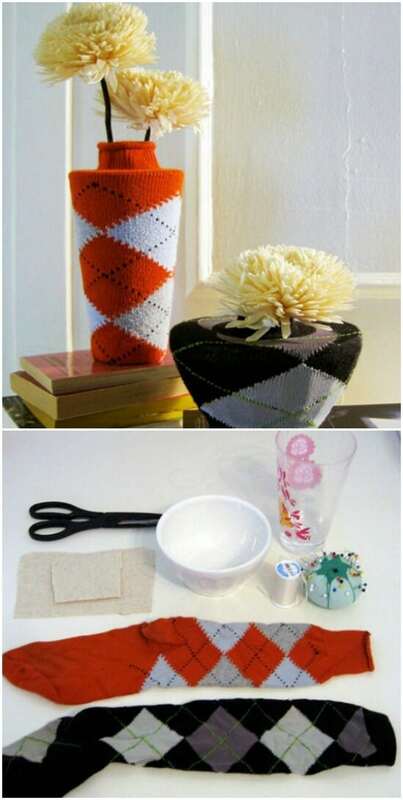 Instead of throwing out those mismatched socks, you can easily turn them into any number of wonderful DIY crafts. 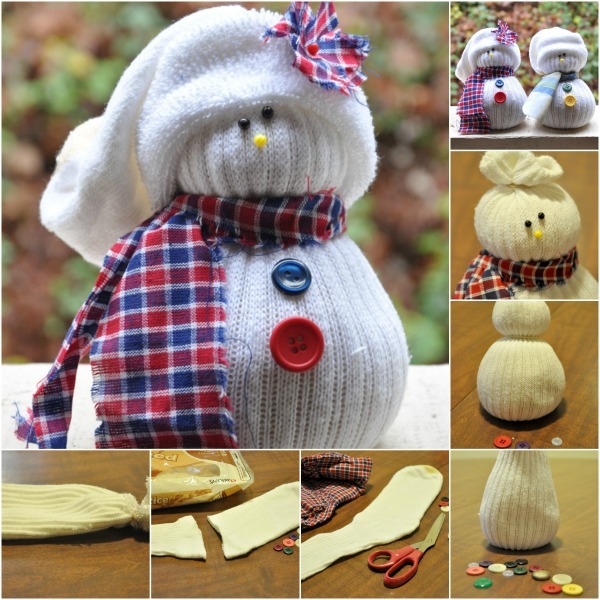 There are so many different things that you can make with those orphaned socks. From toys to coin purses and even clothes for your little dogs, you’ll surely find something in here that will help you to put those single socks to good use. These are some of the most creative uses I have ever seen for socks. Most of the projects on this list can be made in a matter of minutes – at the very least you can make them while cooking dinner. And by the way, be sure to check out this amazing chicken, bacon, and spinach spaghetti recipe that is so easy to make, you can totally craft some DIY projects while it’s cooking. I love projects that allow you to upcycle other things. 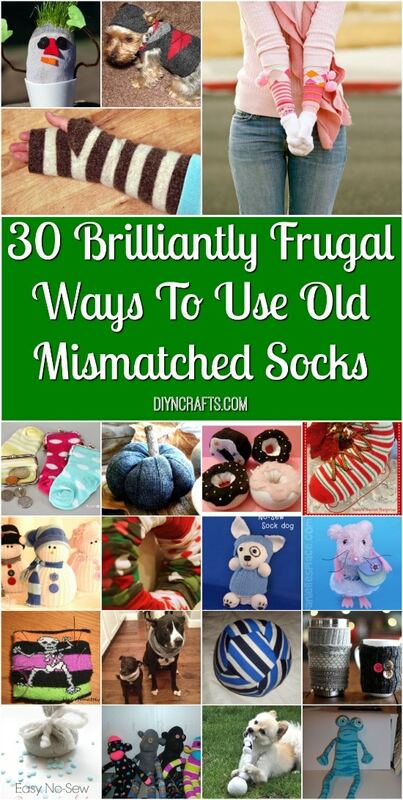 These mismatched sock projects are the perfect way to bring a bit of upcycling into your life. You probably already know the trick of putting on a sock to clean blinds, right? Or using them to create cute little sock puppets for the kids? Well, these projects go a step further. Not only can you create sock puppets, you can create an entire zoo of stuffed sock animals! If you’re lucky enough to never have missing socks, be sure to check out this great tutorial on folding socks to save space. If you are like the rest of us though, and you have several single socks that have lost their forever mates, I’ve got a nice little collection of projects for you. Let’s grab those leftover socks and make some wonderful things. I can’t wait to get started! Whether you have a pair of socks that are worn down or you have a couple of mismatched ones, you can turn them into these great arm warmers. Just a few cuts around the toe area and the kids can keep extra warm when they’re playing in the snow. Fuzzy, thick socks work best for these. Making bean bags out of mismatched socks is a great idea, and a good way to add some fun to your life. There are so many games that require bean bags and you can easily sew those socks into great game pieces. Use a sewing machine if you want but you could totally sew these by hand. Fill with pinto beans or any other cheap filler. 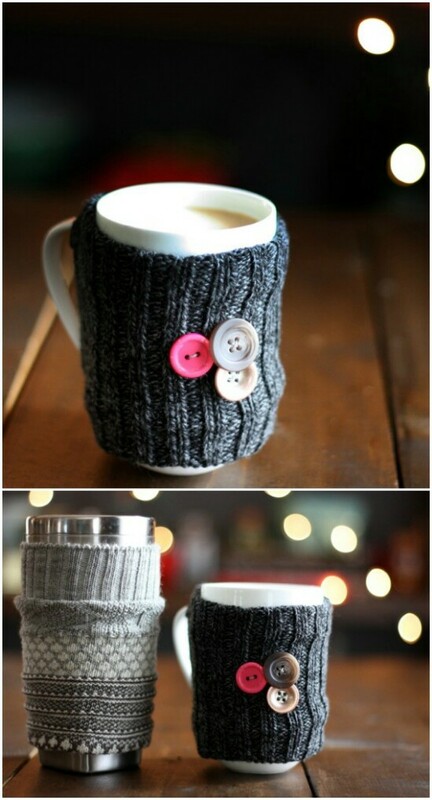 You can easily turn those old socks into these amazing DIY coffee mug cozies. I love this idea – mostly because I’m a huge coffee fan. 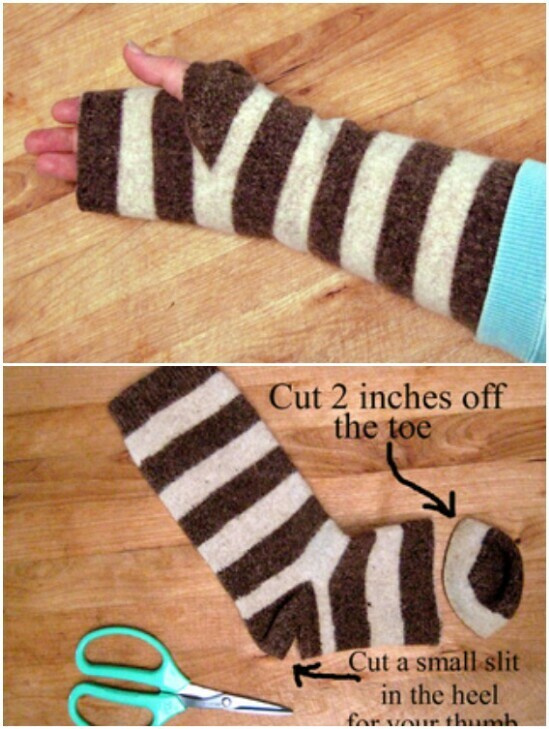 You just cut the sock and if you want, sew in the edges. The socks just slip right over your mug and help to keep your coffee or tea warm while keeping your hands from getting burned. How adorable is this? It’s a DIY chia pet that you make from an old sock. Just put grass seed and dirt into a sock, tie it off, and then use push pins to hold your buttons on to create the face. The grass will grow out the top and look like hair. Just keep the grass damp by watering a bit each day and his hair will grow in no time. Dog toys can be so expensive, although they do beat having little puppies chewing up all your stuff. A better way is to just use an old sock to make little pup his own chew toy. I’ve done this with an empty water bottle, which is great because they love the crackling sound. 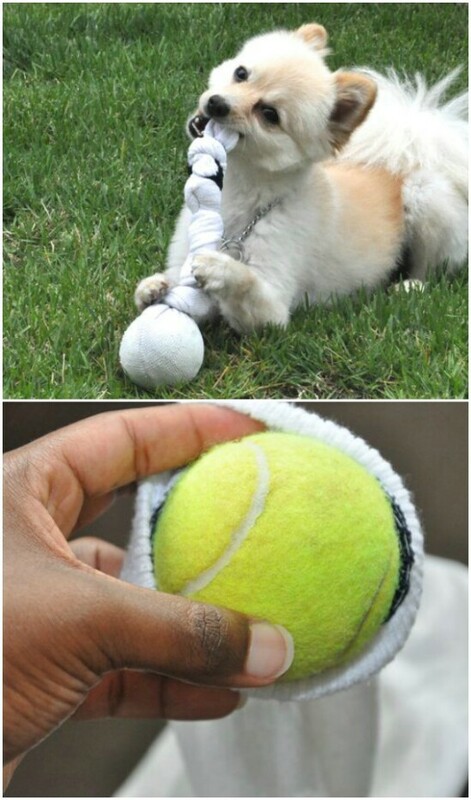 You can also use a tennis ball and tie it up in the sock to give him a really good pull toy. Little girls love playing house and that means cooking up delicious pretend meals. Those food toys can be a bit expensive though – and they’re not always safe for little ones. 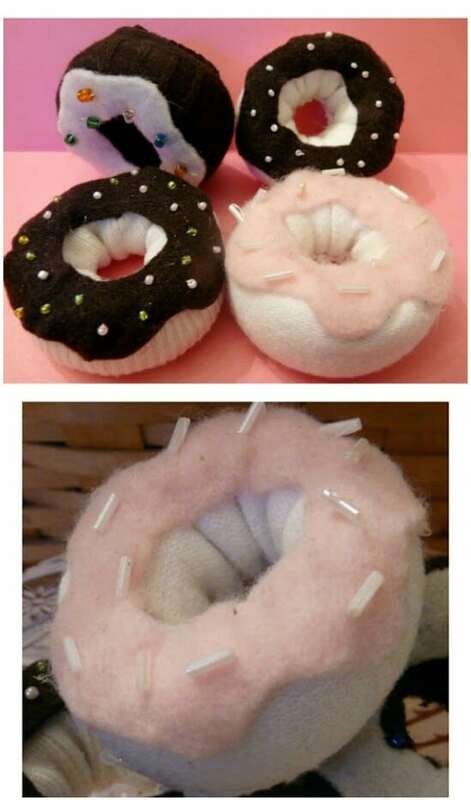 You can turn old socks into these great doughnuts which are cheap and easy to make, and they’re really soft so they’re perfect for girls of all ages. You’ll also have a blast decorating these. If you live in an area that gets cold during winter, you may notice your electric bill rising. Part of that rise could be due to drafts coming in your door. You can easily remedy that problem with some old socks and quilt batting. Just fill the socks with batting, sew them together and place in front of your door to stop those drafts in their tracks. The toe ends of your old mismatched socks are perfect for creating these little potpourri sachets to bring wonderful scents to your drawers and closets. You can use potpourri – or actually I use Downy Unstoppables instead of potpourri. The scent seems to last much longer. Just snip off the toe ends of your socks, fill with your chosen scent maker, and then tie it all up. 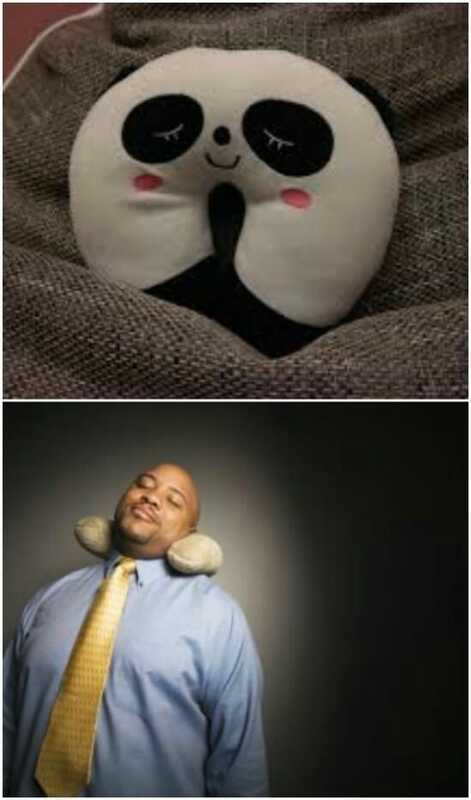 A neck pillow is so wonderful for long car rides or flights. You can also use them when you’re just sitting around at home relaxing, and you don’t even have to spend $20 to buy one. Just fill old socks with beans or rice and you can microwave these for a few minutes before you use them to help melt away all that stress. Children love hobby horses and you can create one in under an hour, and let your little one help design it. You use an old sock for the head and then add a few embellishments. This is a great project for toddlers ages four and up, and makes a wonderful toy that kids are going to love for years to come. 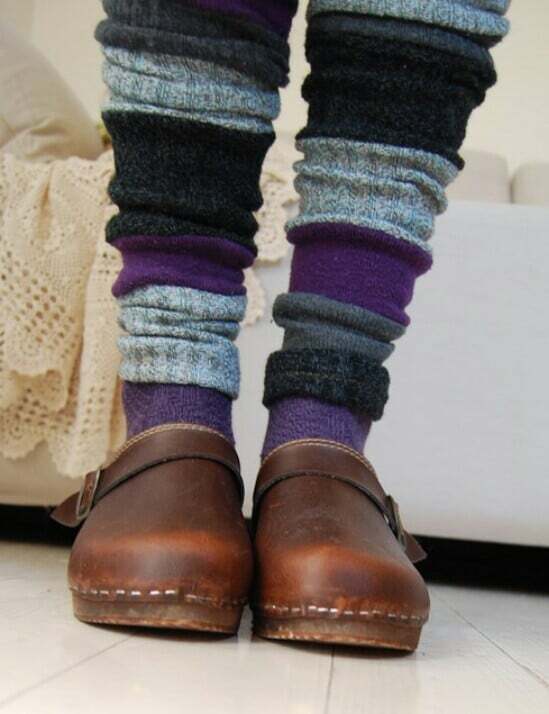 Leg warmers have definitely made a comeback from the 1980’s and you can easily make your own with some old mismatched socks. You just cut the toes off your socks and you’re basically done. Or, if you don’t have matching socks, you could use pieces of different socks and just sew them together to create a matching pattern. You don’t have to throw out those single socks – you can use them to create these gorgeous long winter gloves. The great thing about this is you don’t even need matching socks. You just use the tops, so they can have holes in the toes and they’re still perfect for this project. Since you’re only using a bit of the sock, you can create matching gloves even if you just have single socks in your drawer. 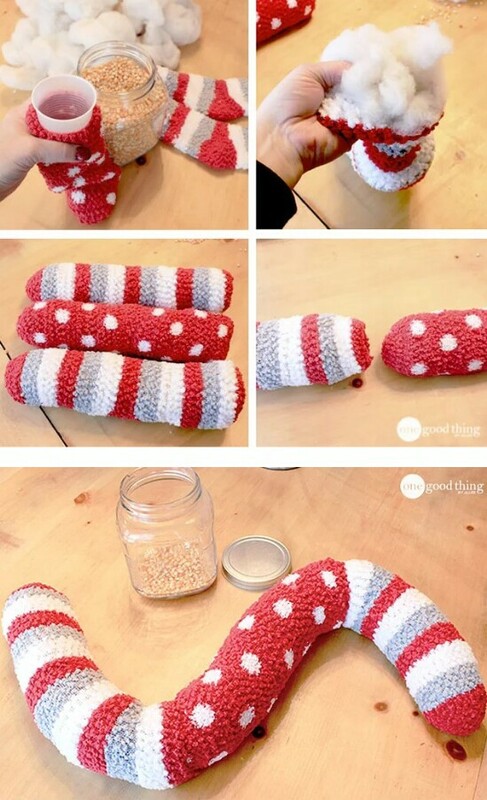 This project is for turning a baby sock into a coin purse, which is really adorable, but you could easily do this with larger socks, too. You basically just sew a coin purse clasp to the sock and you’re all done. 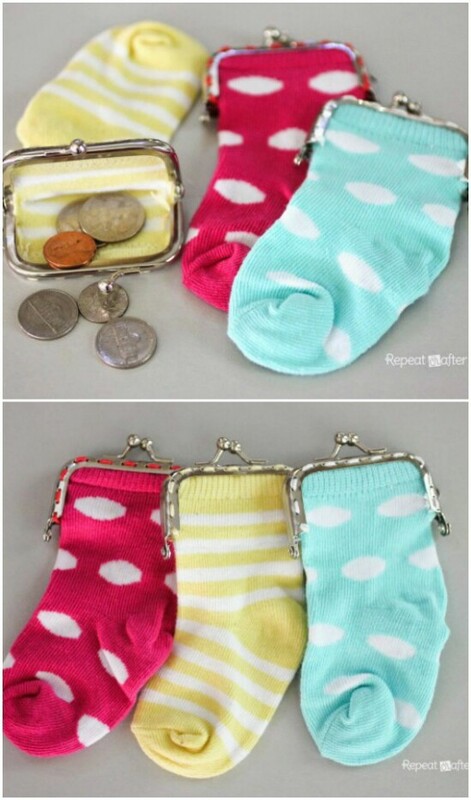 You know you have tons of baby socks that lost their mates years ago – now you can turn them all into adorable coin purses. These are great gifts for girls and women of all ages, too. Okay, this little sock frog is just about the most adorable thing you could do with a single sock. If you have a green sock that’s great, but you could honestly make him out of any color that you have on hand. The trick is in the stuffing and sewing, which is really easy. This would make such a wonderful nursery gift or a new toy for your little one. This sock ball is geometric and it looks complicated to make but it really isn’t. You’ll need to cut and measure a few times, but overall, this is a project that you could easily finish in an hour or so. Your little ones will adore playing with it and you could use socks of different colors to make it really fun and colorful. This little sock pin cushion will only take you about 10 minutes to complete. 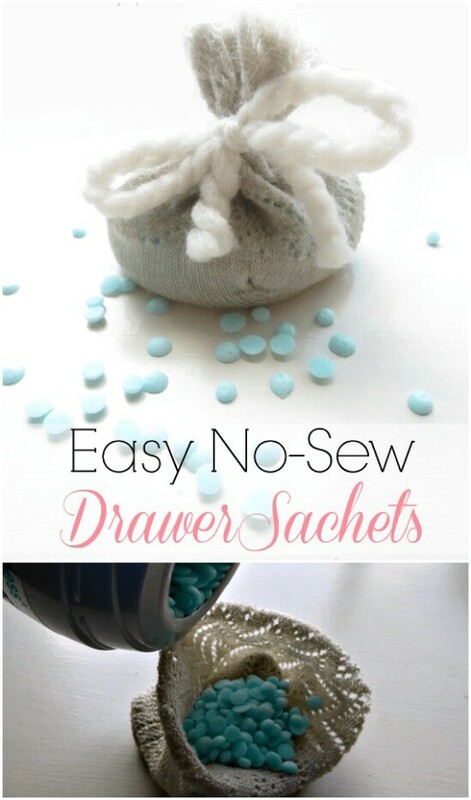 This is a great idea for all types of socks, especially if you sew a lot. You’ll need extra pin cushions, right? There’s just some cutting, folding, and sewing required, and that’s about it. This is a great project for teens who may be learning to sew and maybe want their own sewing supplies. This project is great even if some of your socks are worn and torn. 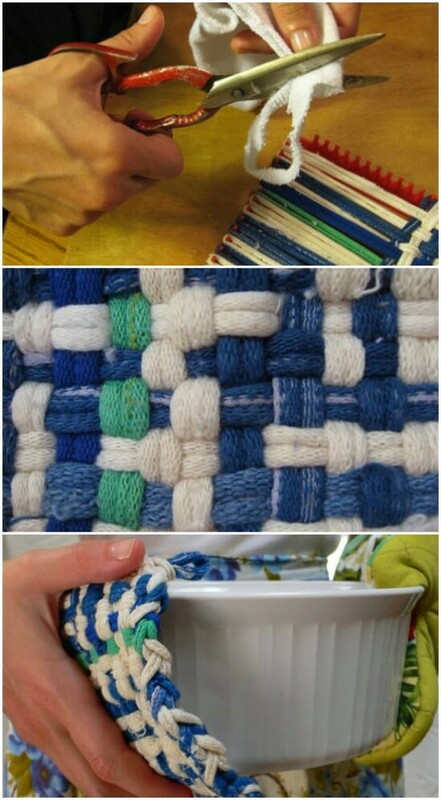 You cut the socks into strips and then use a weaving loom to create the pot holders. Incidentally, you can pick up a plastic weaving loom at the Dollar Store in the kids’ toy section for around a dollar or so. 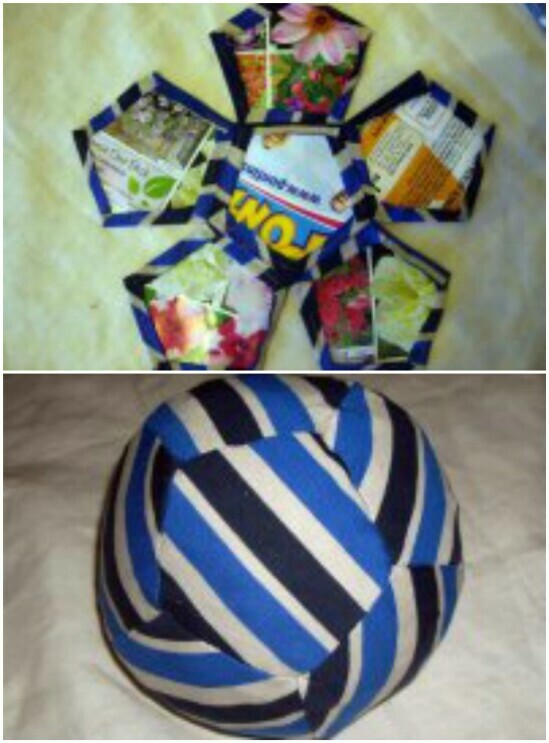 Then you can make loads of pot holders and even give them out to your friends as gifts. Your dogs like to be warm – and stylish – just as much as you do. If you tend to take your little furry friends outdoors during colder weather, a scarf may be in order. You can make such a cute little scarf with a knee sock and a bit of sewing. 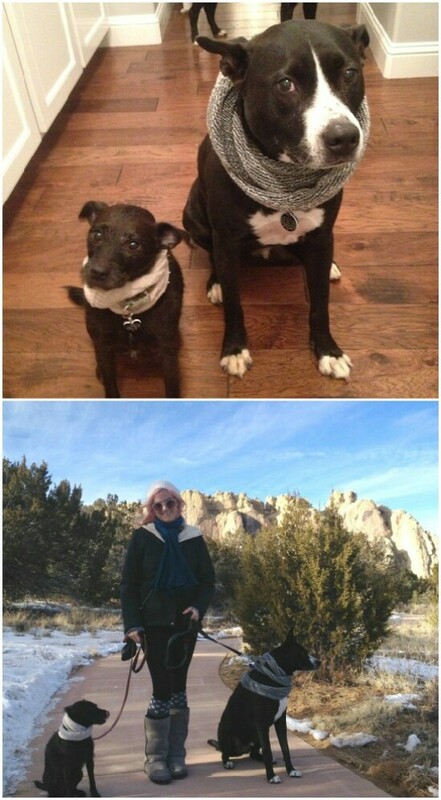 Your dog will thank you for the warmth and you’ll have a ball showing him off in his little doggie scarf. 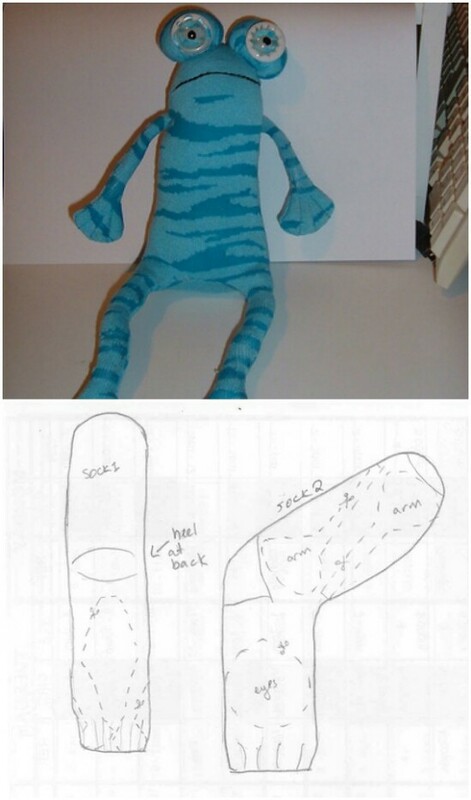 Here’s another great toy that you can make from those mismatched socks. These DIY sock animals are so easy to create and your little ones are going to love them. Plus, you can make any of the animals for less than $2 if you have the sock, and that’s including the eyes and nose pieces. There are so many wonderful animals that you can make from socks – dogs, cats, caterpillars, octopus, and so many others! How about another animal that you can make for the kids? This little sock monkey is probably my favorite. 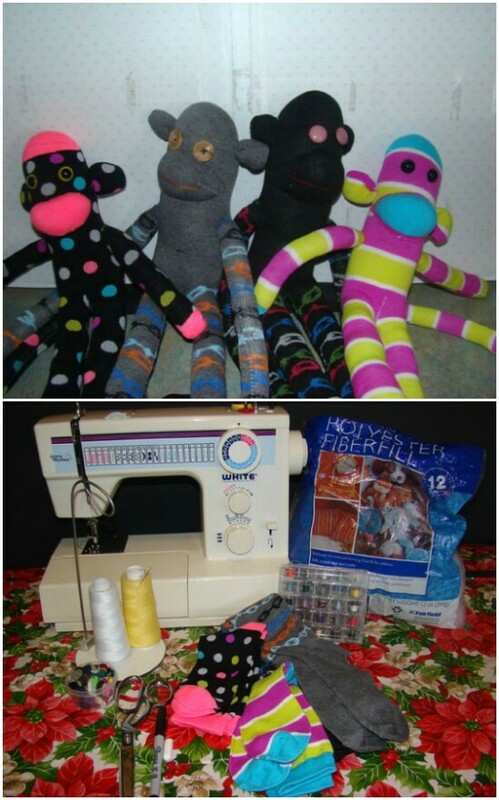 Sock monkeys are such classic toys and they are so much easier to make than you may think. You can make an entire monkey family if you have enough socks available, and little ones always love sock monkeys. I have some of these little sock snowmen that decorate my Christmas tree every year. My son made them in school years ago and they’re still as adorable today as they were back then. They really are easy to make and this is a great project to share with the kids. Create an entire little snowman family – one for every member of your own family. 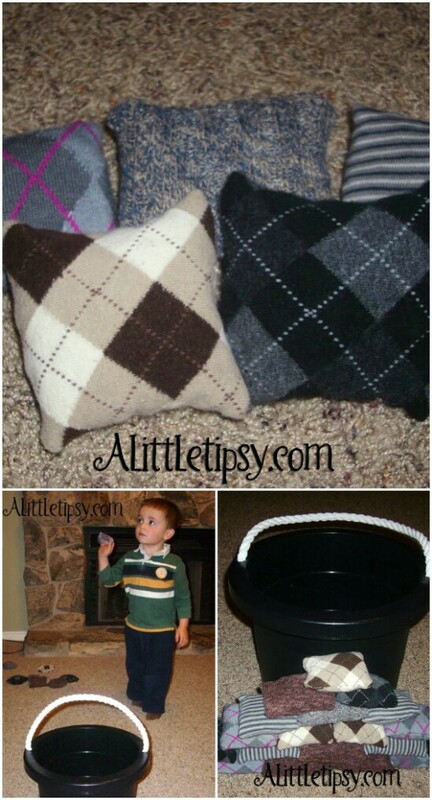 Argyle socks are perfect for making these little vase cozies, but you could use any socks that you have on hand. This one is so very easy. You just feed the sock over your vase and you’re all done. You may need to trim and sew a bit if the sock is too long. You could also do these with colored socks to match your décor. A few old socks, mismatched are fine – in fact it’s even better, and a wreath form are all you basically need to create this colorful and fun sock wreath. This is great for any season. 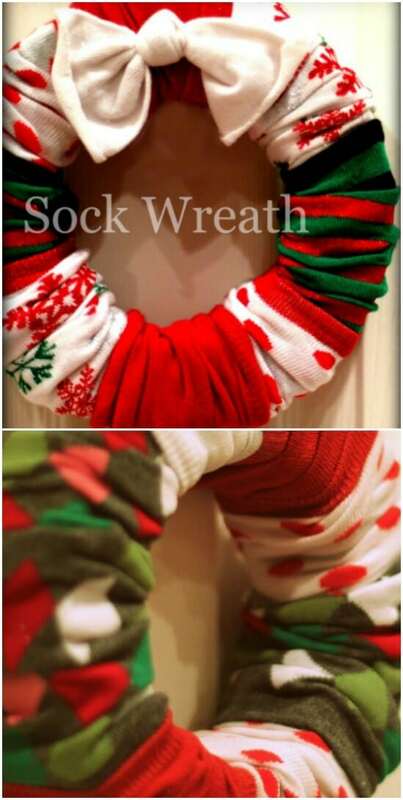 You don’t have to have red and green socks for a Christmas wreath. Use colorful socks to make a wreath for Spring or red, white, and blue socks for a festive summer wreath. Turn little socks into beautiful Christmas ornaments with just a bit of stuffing and a couple of stitches. 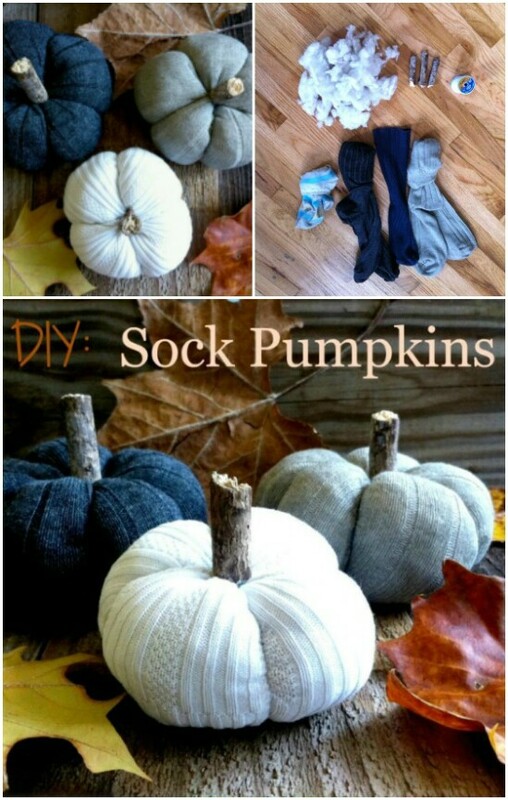 You can decorate these to make them even more decorative or just use decorative socks. I love this idea for a rustic, homemade looking Christmas tree. You could also do them in spring colors to decorate your Easter tree. 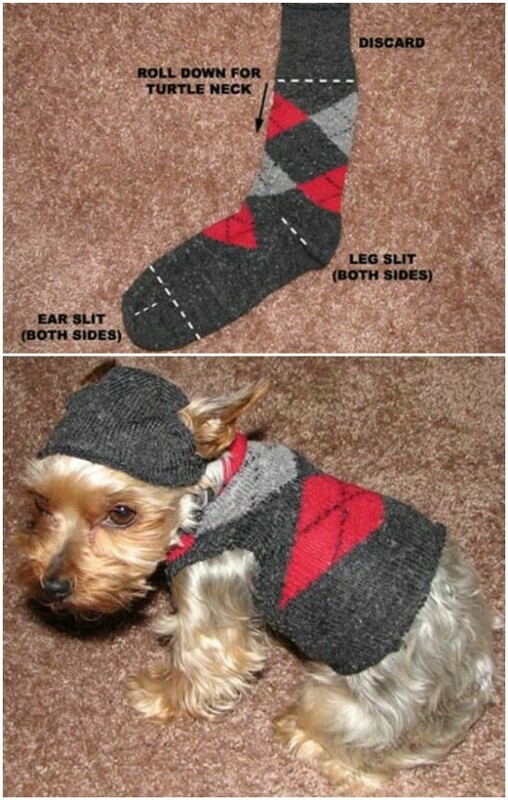 If you have a tiny dog, you can use an old sock to make him an adorable and warm little sweater. Note that this works best with really small dogs – think teacup breeds. You just need to cut the toes off the sock and there are a couple of other minor steps. Your little furry friend will be dressed up in his new sweater in under an hour from start to finish. Sitting at the computer all day can be tiring, especially on your wrists. If you don’t use a wrist rest, you really should. They can help you to avoid things like tendonitis and other injuries to your wrists from holding your hands on the keyboard all day. 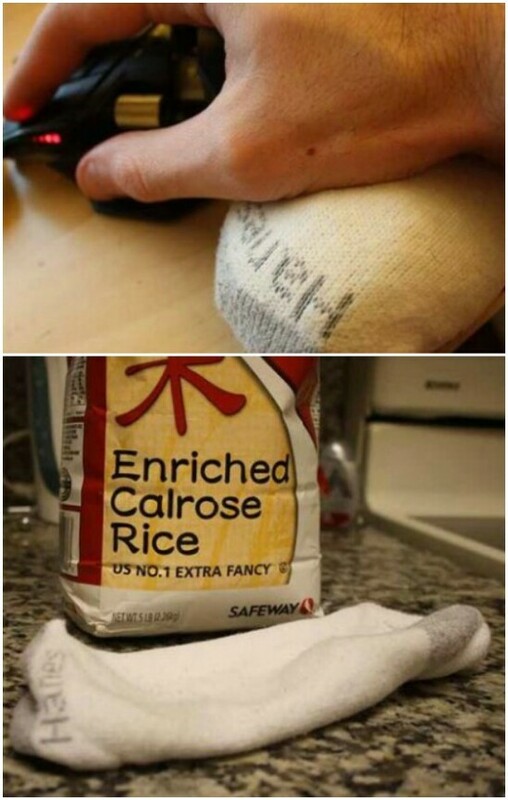 You can easily make a resting place for those wrists with a sock and some rice. Just stuff the sock and sew it up. The rice can also be heated in the microwave to help soothe sore wrists. 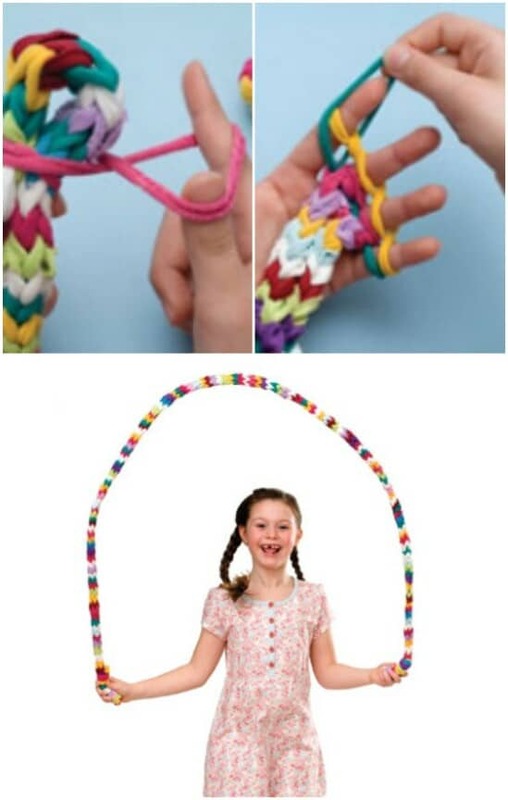 Yes, you can make a wonderful jump rope from those old socks. You just have to weave them together. What’s great about this one is the jump rope is so much softer than those that you get in the stores so they’re safer. 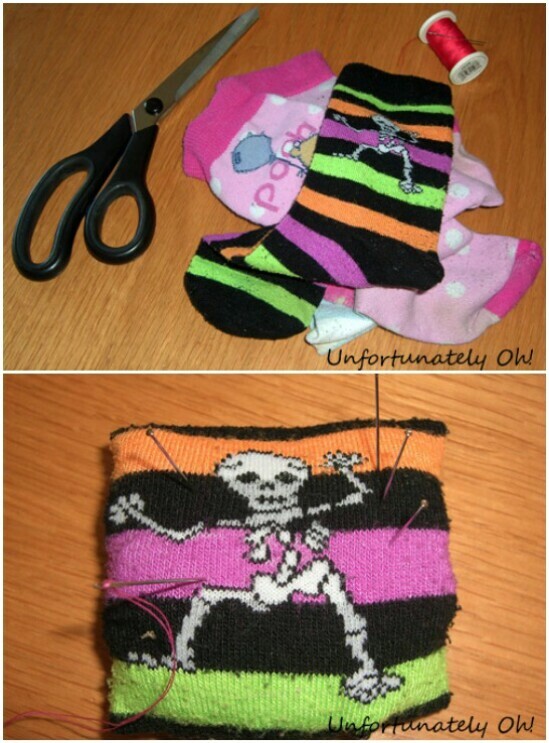 You can make them so colorful, too by using different socks and this is a great project for the kids to help you with. These little pumpkins are going to be your favorite fall and winter decorations. They’re so easy to make and the different colors are really gorgeous. This is another great project to involve the kids in, and you have plenty of time to create them before fall comes again. They’re stuffed with pillow stuffing and make such adorable little decorations. 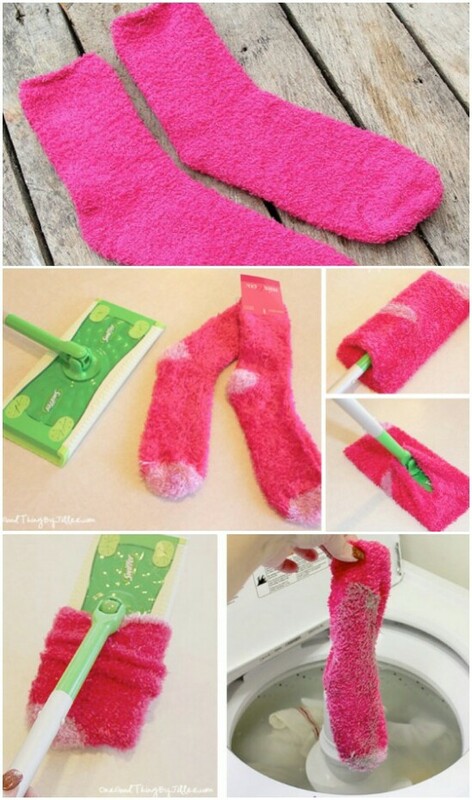 Those fluffy socks that you can’t find the mates to make wonderful Swiffer pads. You just cut the toes off and slip the sock over your Swiffer dry mop. Swiffer pads are great for picking up dust but they are really expensive when you have to keep replacing them. Use those old socks instead and you’ll never have to buy Swiffer pads again. Here’s an amazing way to use up those mismatched socks and get a great little copy for your iPad, too. You end up with a side pocket that is perfect for holding your headphones, and this entire cozy is so easy to make. If you have enough socks, you may even want to put a couple of these together to give out as gifts. You can also find out if your local homeless shelter takes them! Socks wear out and homeless need socks badly!